A larger, chunkier version of the classic Fusilli from the Campania tradition which were made by hand in the past according to a method that was passed down from "mother to daughter". 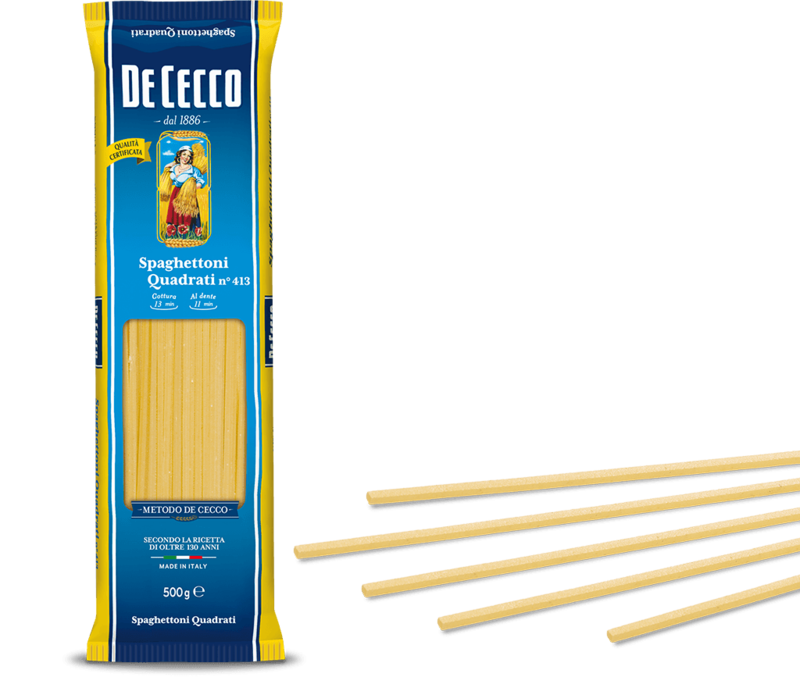 You had to rapidly twist a strand of spaghetti around a knitting needle with a skilled hand. The ability required to perform this procedure is reminiscent of that of spinners and as a matter of fact, the term "fusillo" comes from "fuso" (spindle) which was the tool used by spinners. 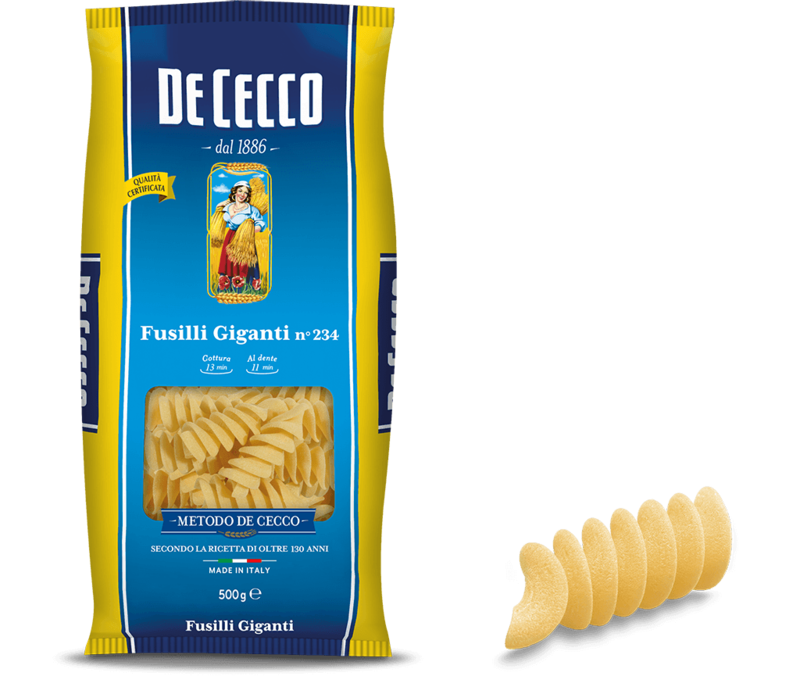 Fusilli Giganti are ideal for dishes with a strong, decisive taste or for recipes that need to be tossed in a frying pan.